Considering a trip to Europe? 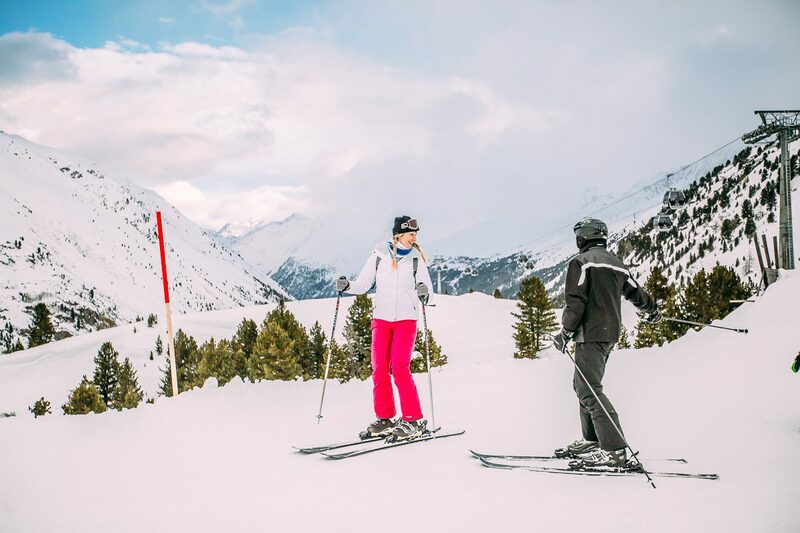 You might want to plan for a winter ski vacation in Austria for your next adventure. 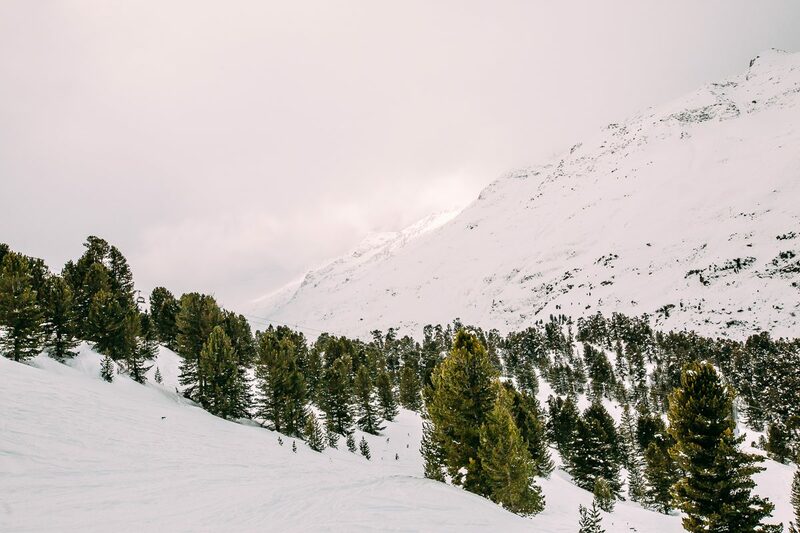 If you need any convincing, these 26 photos will have you booking your flights and packing up your snow gear in no time. Our Austria ski vacation starts winding through the streets of Tyrol making our way to Obergurgle, our ski village and slopes. 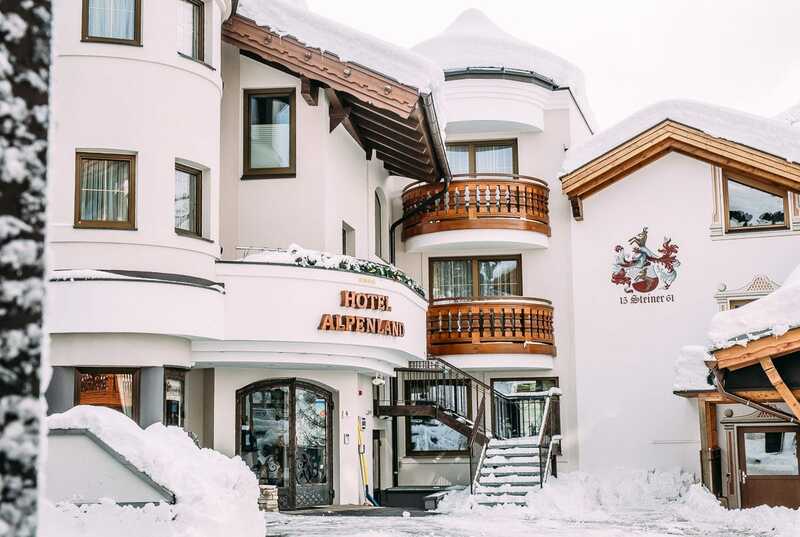 As you arrive at the hotel, most of which looks like something from a fairy tale covered with thick snow, you get really excited to start your ski vacation in Austria. 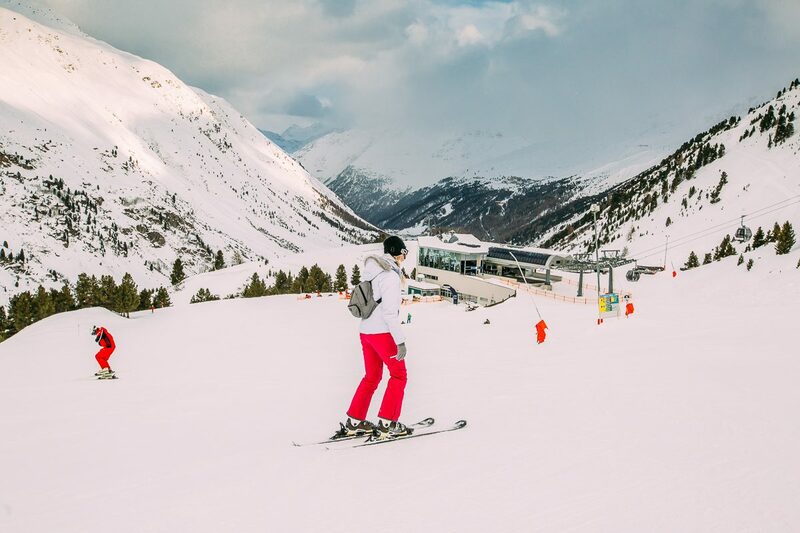 The Austrian Alps are known for some amazing runs with beautiful, classic European architecture taking over the cities around the slopes. 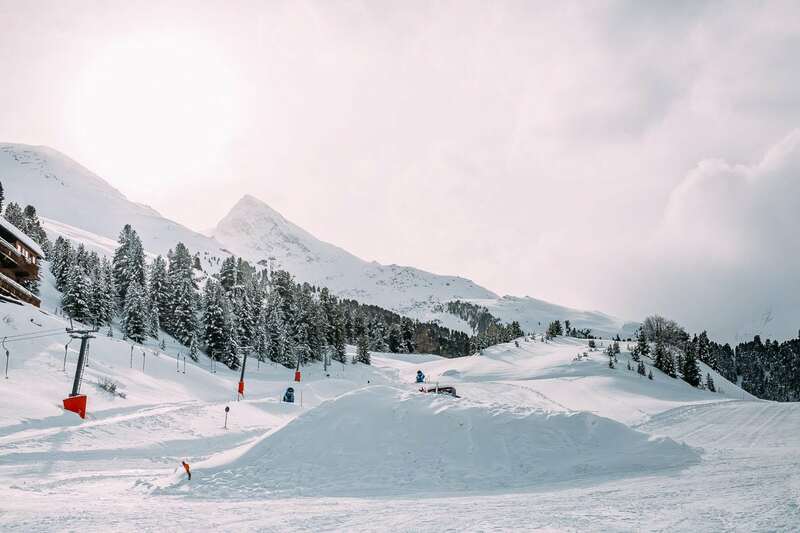 Whether it is skiing or snowboarding, there is no shortage of runs and obstacle courses in these Austrian Alps. 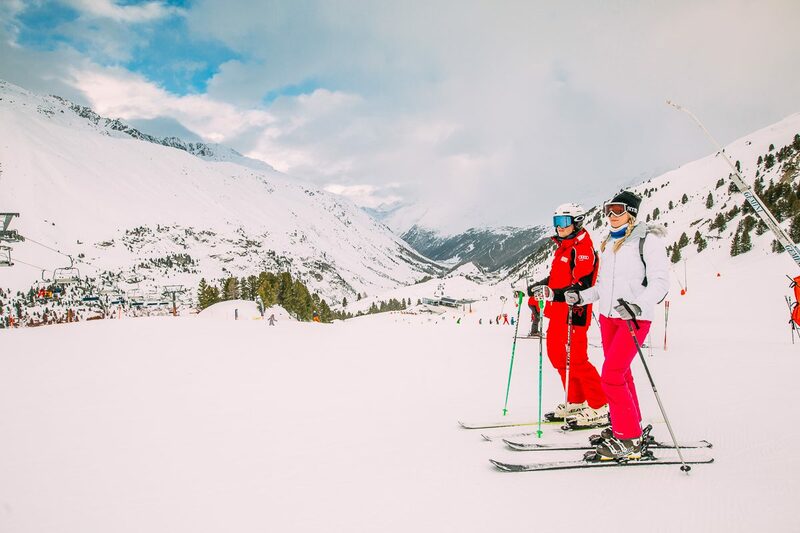 If you’re a beginner or have a child traveling with you, hiring an instructor or joining a ski school is a must. 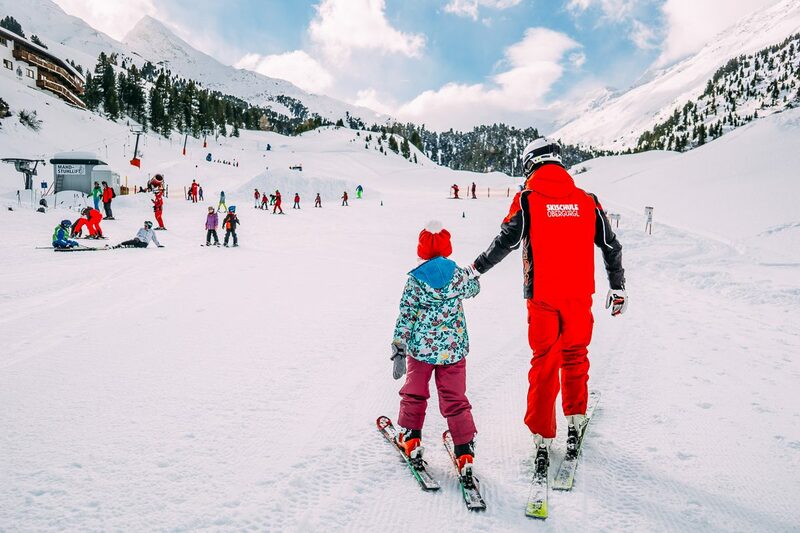 While your kids are having fun at ski school you can explore the gorgeous peaks of Obergurgle on your ski vacation in Austria. Excited to try skiing the Austrian Alps! Don’t forget to make friends at the top of the mountain. 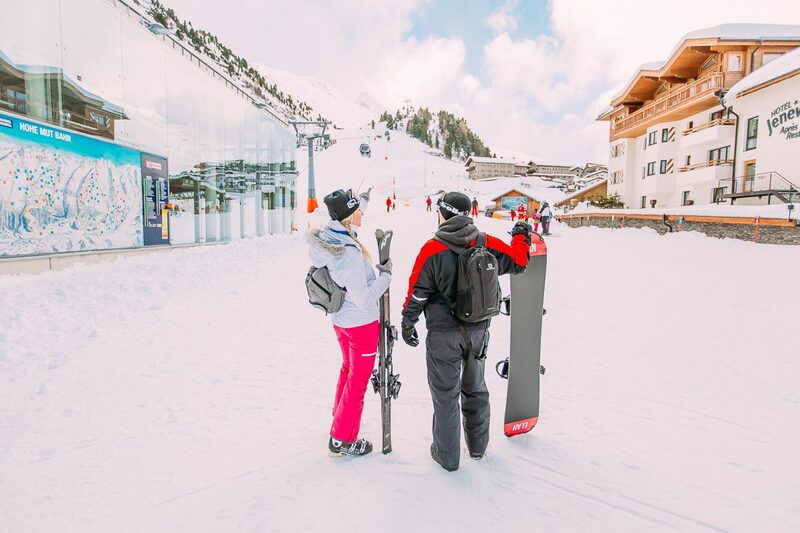 Some of the most diverse people spend their ski vacation in Austria so you will meet people from many different cities and cultures from all over the world. Sometimes you need an instructor too as it’s always good to learn something new! Or go back to the basics and ski without poles. He made me do it! …and breathtaking views at the top! 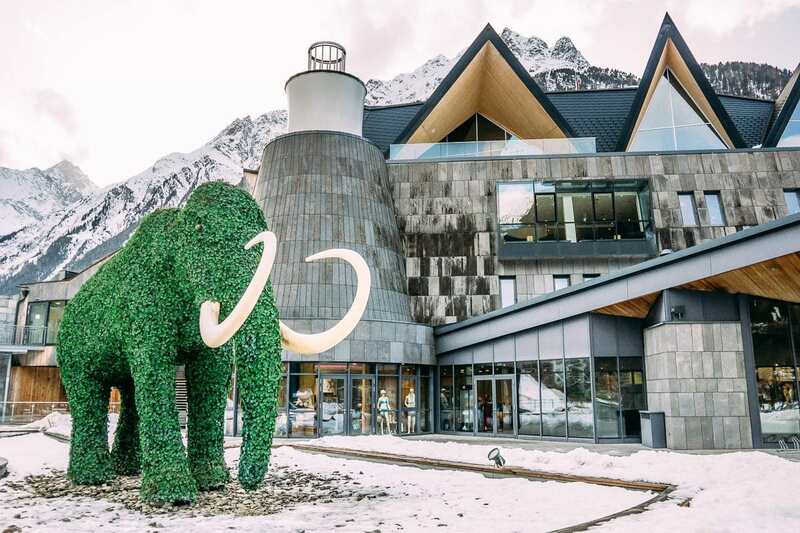 Finally, ski down and grab a bite to eat at the restaurant built on the inside of a motorcycle museum. Only in Austria! Enjoy every moment as you can’t beat the views from at the Motorcycle Museum situated at the top of the mountain. Or the food! 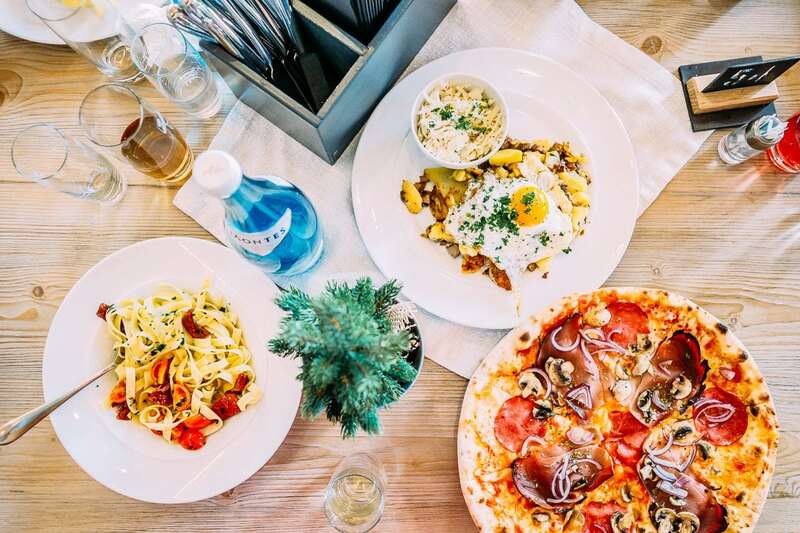 Eggs, potatoes, pasta, or pizza – there is something for everyone to refuel and re-energize before heading back to the slopes. Standing outside in the sun after a long day of cold weather and fast skiing feels amazing. Skiing or Snowboarding? 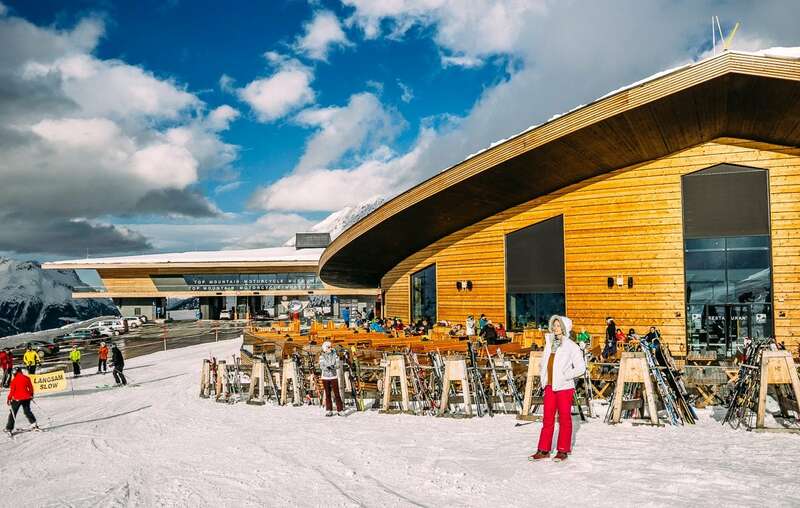 Your Austrian Ski Vacation Has it All! 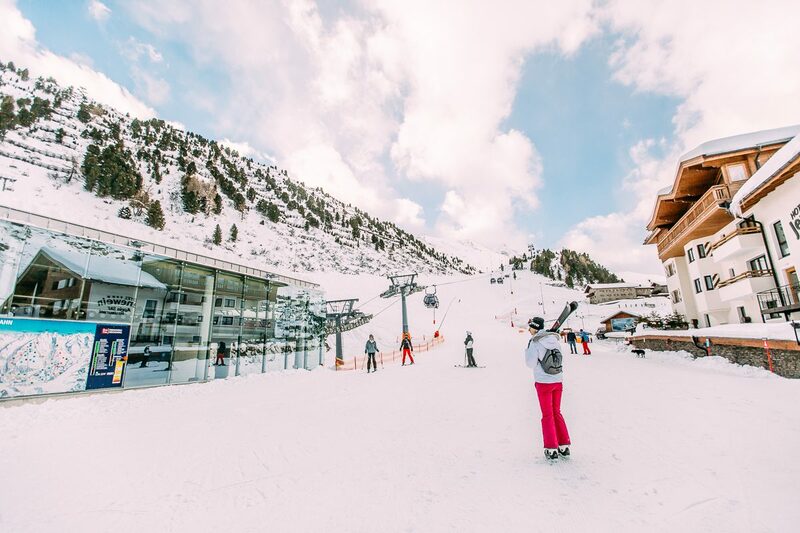 If you’re tired of skiing or just decide it’s time to try something else, test out your skills at snowboarding! Prepare to fall…a lot! Does this look familiar? Check out this article on 15 Photos that Will Make You Want to Visit Southwest Germany Now. At least it did not get us down (figuratively speaking) because we certainly spent lots of time in the snow! 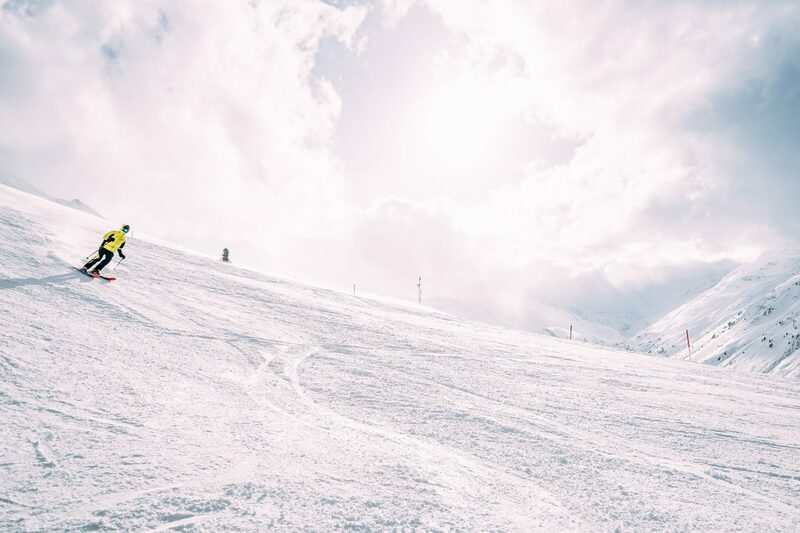 Bunny hills are best to learning your beginner skiing or snowboarding skills, especially those with peaks like these! 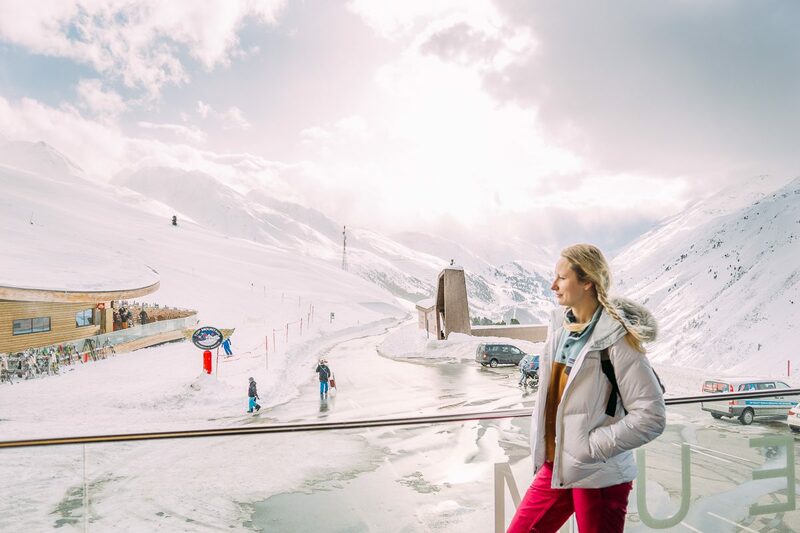 Before picking up the kids from ski school, take the opportunity for a little alone time and enjoy the dreamy landscapes. 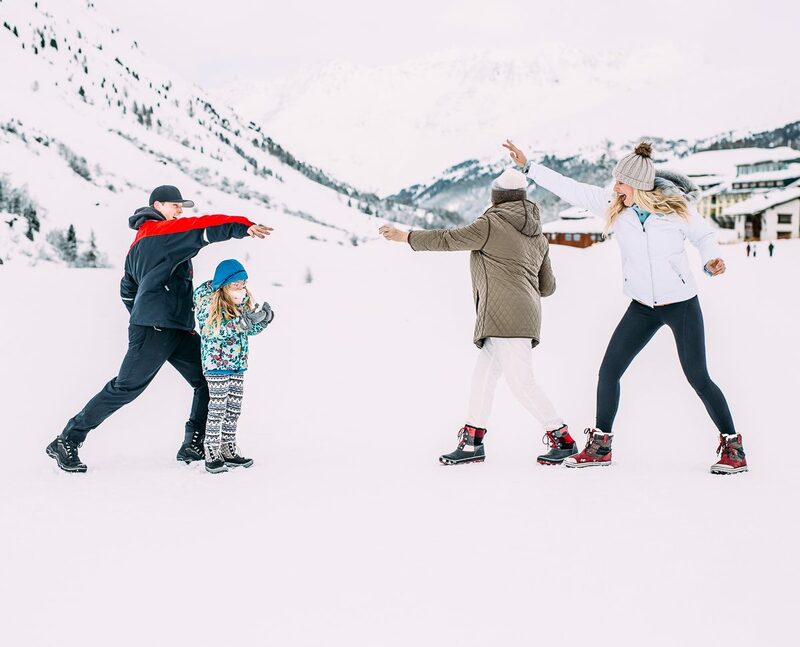 And after you pick up the kids, let loose for a little snowball fight fun! 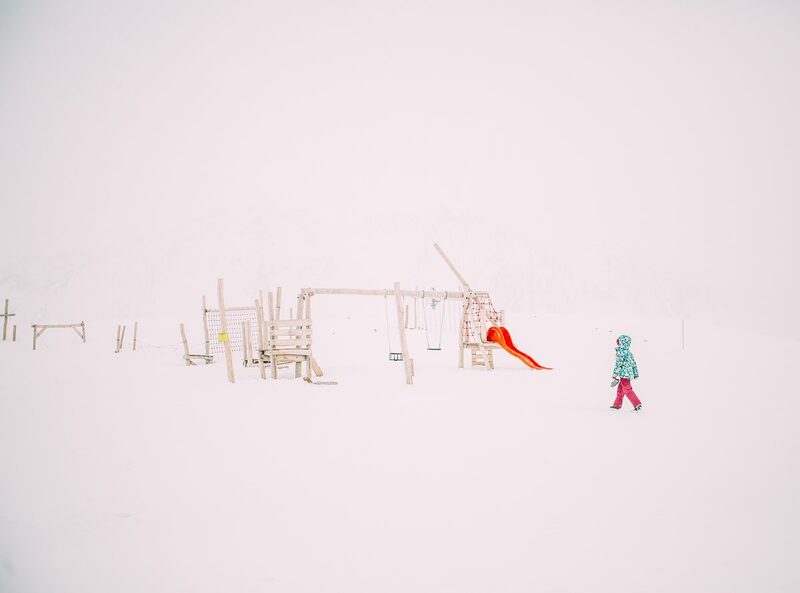 Until someone has enough and decides to retreat to a snow covered playground. So much white powder! 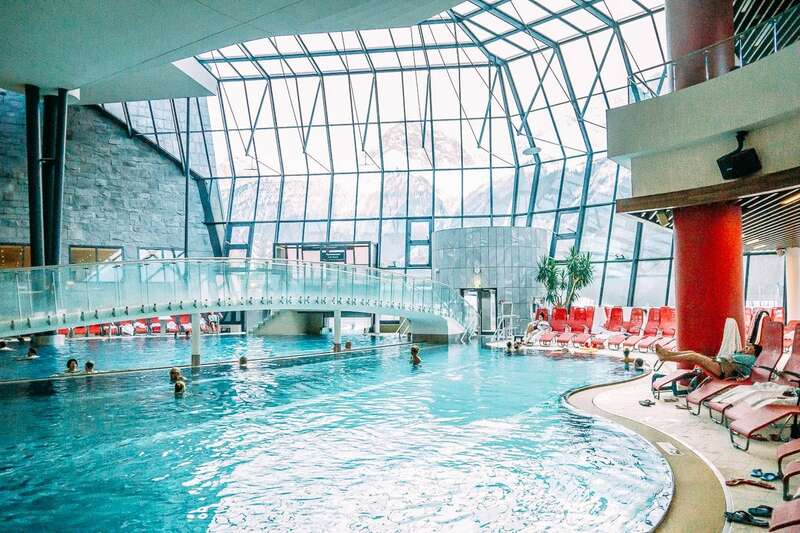 Room after room, pool after pool, saunas, hot tubs, adult areas and kids spots with even a waterpark inside. And the best part? 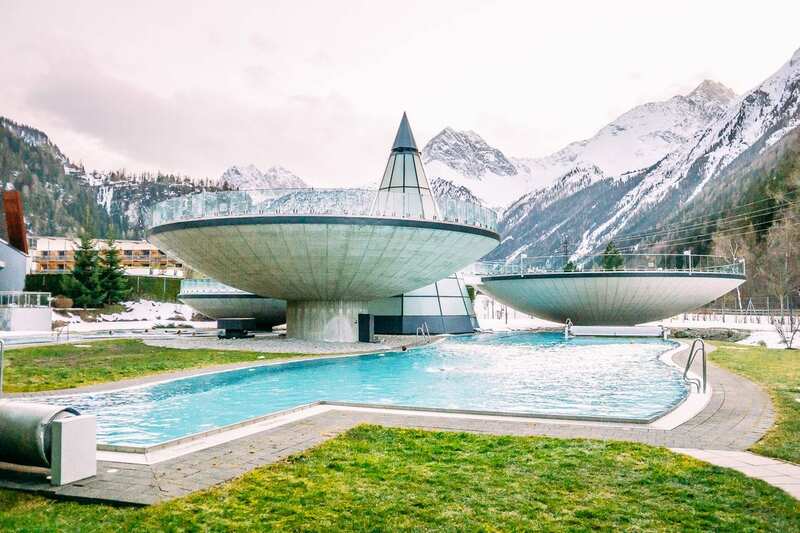 The outdoor hot pools: soaking in the warm water with the views of the snow capped Alps is an experience one will never forget. 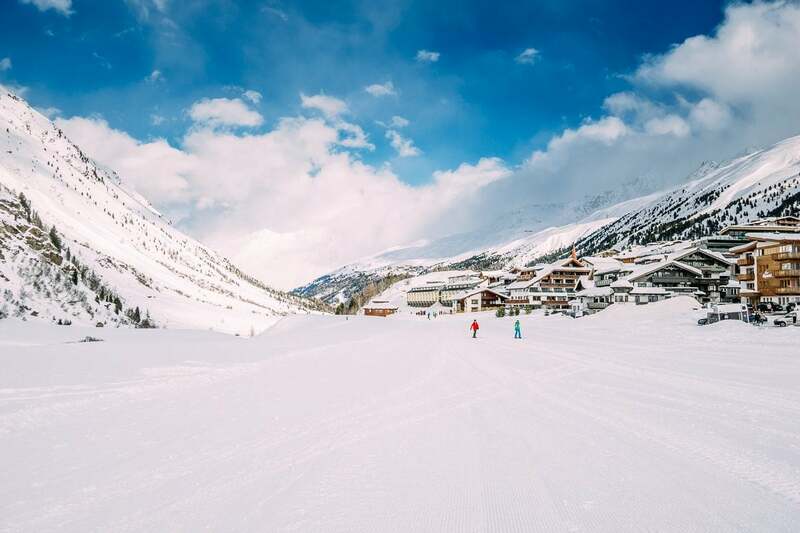 If you aren’t sure of where or when to spend your next vacation, consider a ski vacation in Austria. 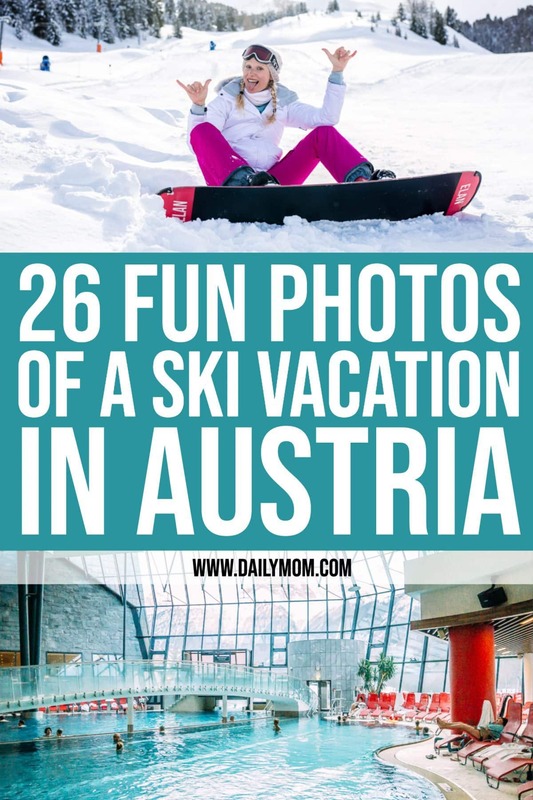 These 26 photos show the fun, the adventures, and the beautiful landscape that the Austrian Alps have to offer. But even these photos don’t do it justice – you have to visit for yourself! 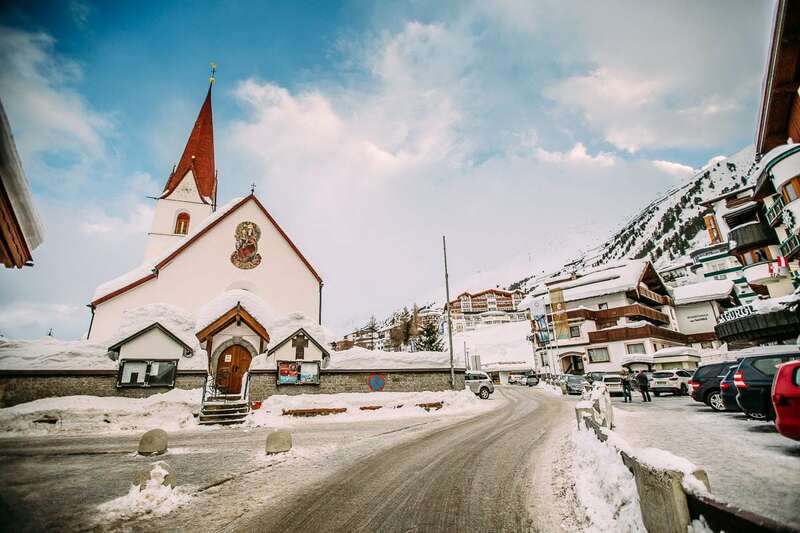 Check out Your Guide to a Ski Holiday in Obergurgl, Oetztal and A Daily Itinerary Guide to Skiing in Oetztal, Tyrol for more about this great location! Sign up to receive our picks for the best things to do, see, and buy so you can relax and focus on more important tasks!